Welcome to the fifth episode! This has been SO much fun so far. This episode is so ridiculously actionable that I kind of can’t wait for you to get started. 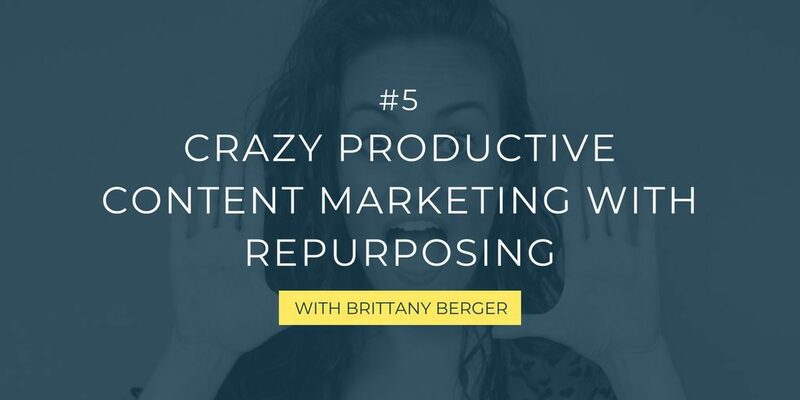 I’m chatting with Brittany Berger, a content unicorn over at BrittanyBerger.com, a brilliant writer, content strategist, and one of the few productivity bosses for when my attention and focus get lost. 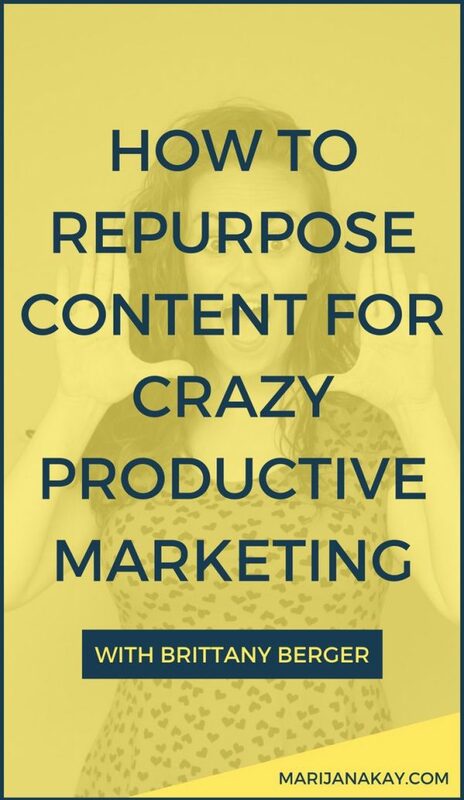 So if you’re often feeling like you don’t have enough time to create your content, I really hope you tune it to this one, because Brittany’s tips will give an instant content marketing productivity boost! You will walk away with an action plan and steps to take immediately, including a worksheet that Brittany created and that I diligently use as my content productivity weapon as we soon step into the new year and new business goals I’m looking to reach. 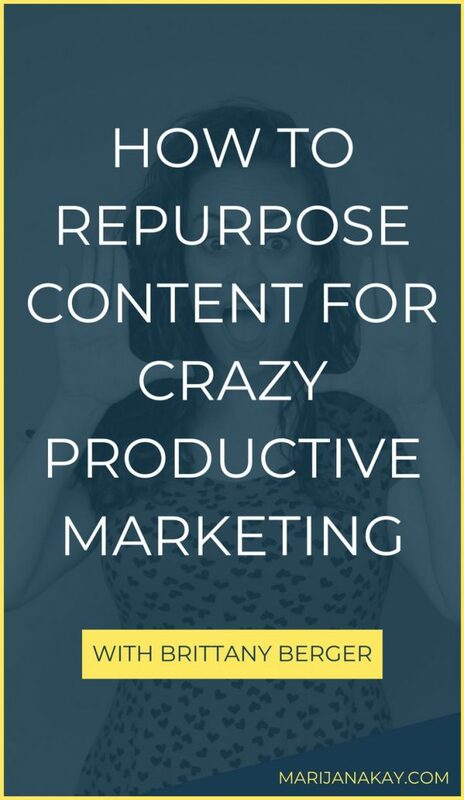 I hope you take action and start building a more productive and efficient process for your content marketing activities. Don’t forget: your audience can’t wait to hear from you. Please let me know about the actions you took and how it went for you. I really appreciate your time, thanks for tuning in!